Northshore drivers rejoice! The 2019 Toyota Avalon is available and ready for a test drive at Northshore Toyota in Covington. 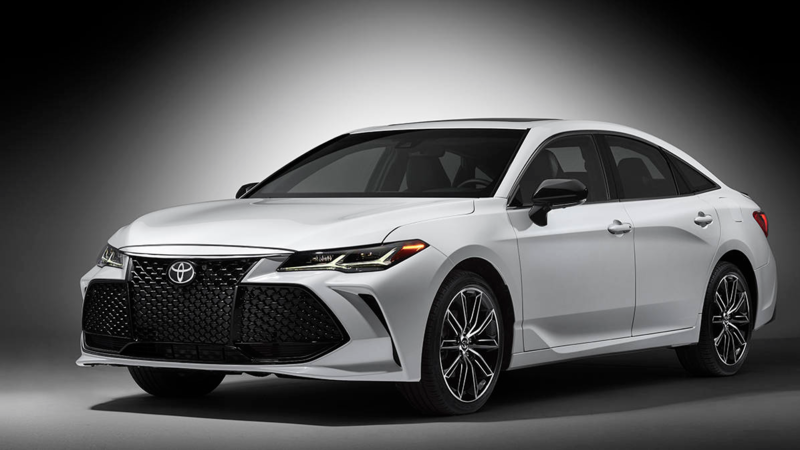 If you've been thinking about a new Avalon sedan, you don't want to miss out on what the 2019 version has to offer. The 2019 model offers the reliability you've come to know and love with some key upgrades and changes. The 2019 Toyota Avalon on the Northshore is ready for your next move. The 2019 Avalon has a starting MSRP of $35,500* - a price that anyone shopping for a midsize sedan will love. Besides the price tag, the Avalon sedan also boasts a 22 city MPG and 32 highway MPG**. Want to make sure you have room for your family and friends? The Toyota sedan seats up to 5 passengers. When it comes to your next car, Northshore Toyota wants you to be on the road in something that looks good and handles the road. We're ready to break down all the great exterior features on the new Toyota Avalon sedan. The Avalon grille and dynamic turn signal lighting are sure to catch everyone’s eye. The Avalon lets Northshore drivers hit the road in style. The Avalon is more than just a pretty face. Jerry Durant Toyota knows safety is a top priority for our drivers, and the 2019 Avalon doesn’t miss a beat with its numerous safety & convenience features. The midsize sedan includes ten airbags throughout as well as front seat Whiplash-Injury-Lessening (WIL) seats5. Would you be using the Avalon as a family vehicle? Parents will enjoy child-protector rear door locks and power window lockout controls. The Toyota Avalon also has LATCH (Lower Anchors and Tether for Children) in rear seats that will give parents the peace of mind they need while on the road. While the Avalon looks great on the road, Covington drivers will also love driving it with its numerous interior features. The Avalon Limited interior features authentic materials and has an available Cognac Leather trim option available to have you riding in luxury. The 2019 Avalon also features a quieter cabin that drivers will enjoy as they hit the road. 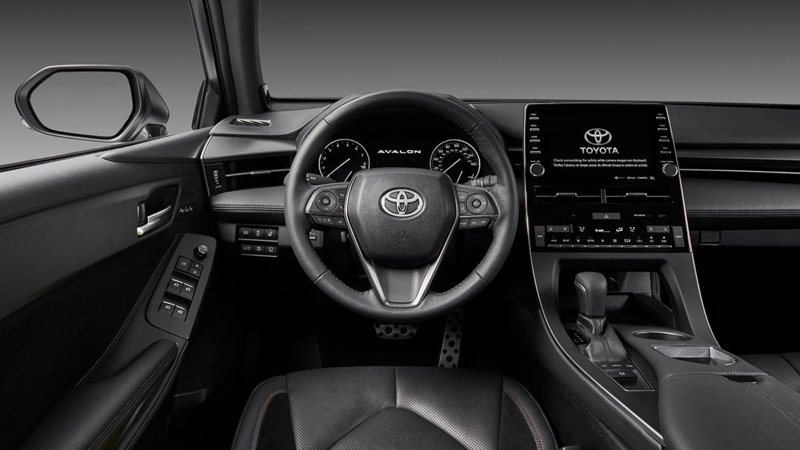 That's not the only great parts of the Avalon interior - Avalon drivers also enjoy a floating center stack boasting a 9 inch touch-screen display and air condition panel. The 2019 Toyota sedan also comes with Entune 3.03 Audio Plus with App Suite. Avalon drivers can enjoy hands-free phone capabilities, USB 2.0 media port, advanced voice recognition, Apple CarPlay compatibility, Siri Eyes Free4, and more! Now that you know all the great features the Toyota Avalon has to offer, we think it's time to get behind the wheel! If you're ready for a test drive, the Northshore Toyota team is ready to make it happen! Head to our dealership at 68500 Highway 190 Service Road, Covington, LA 70433 or give us a call at 985-261-2052 to schedule your chance to get behind the wheel of a new Avalon. 1 MSRP excludes the Delivery, Processing, and Handling Fee of $975 for Avalon, Avalon HV. Historically, vehicle manufacturers and distributors have charged a separate fee for processing, handling and delivering vehicles to dealerships. Toyota's charge for these services is called the "Delivery, Processing and Handling Fee" and is based on the value of the processing, handling and delivery services Toyota provides as well as Toyota's overall pricing structure. Toyota may make a profit on the Delivery, Processing and Handling Fee. Excludes taxes, license, title and available or regionally required equipment. Actual dealer price will vary. 2 2019 EPA-estimated mileage. Actual mileage may vary. 3 Be sure to obey traffic regulations and maintain awareness of road and traffic conditions at all times. Apps/services vary by phone/carrier; functionality depends on many factors. Select apps use large amounts of data; you are responsible for charges. Apps and services subject to change at any time without notice. See toyota.com/entune for details. 4 Always drive safely, obey traffic laws and focus on the road while driving. Siri is available on select iPhone/iPad models and requires Internet access. Siri is not available in all languages or all areas and features vary by area. Some Siri functionality and commands are not accessible in the vehicle. Data charges may apply. See apple.com and phone carrier for details. Siri is a registered trademark of Apple Inc.
5 Whiplash-Injury-Lessening front seats can help reduce the severity of whiplash injury in certain rear-end collisions.